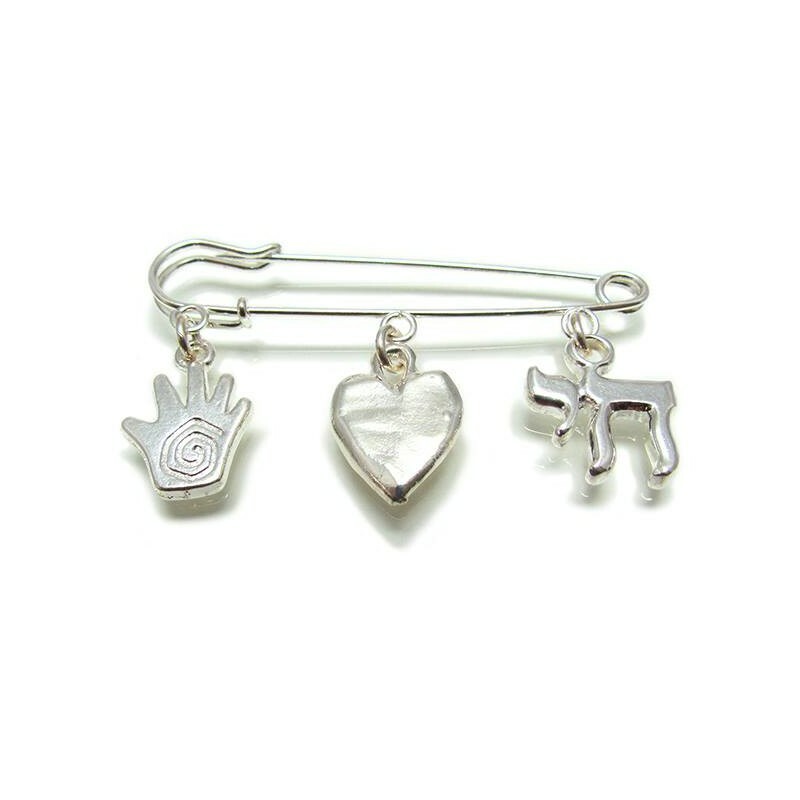 Baby Brooch Pin, safety pin brooch. 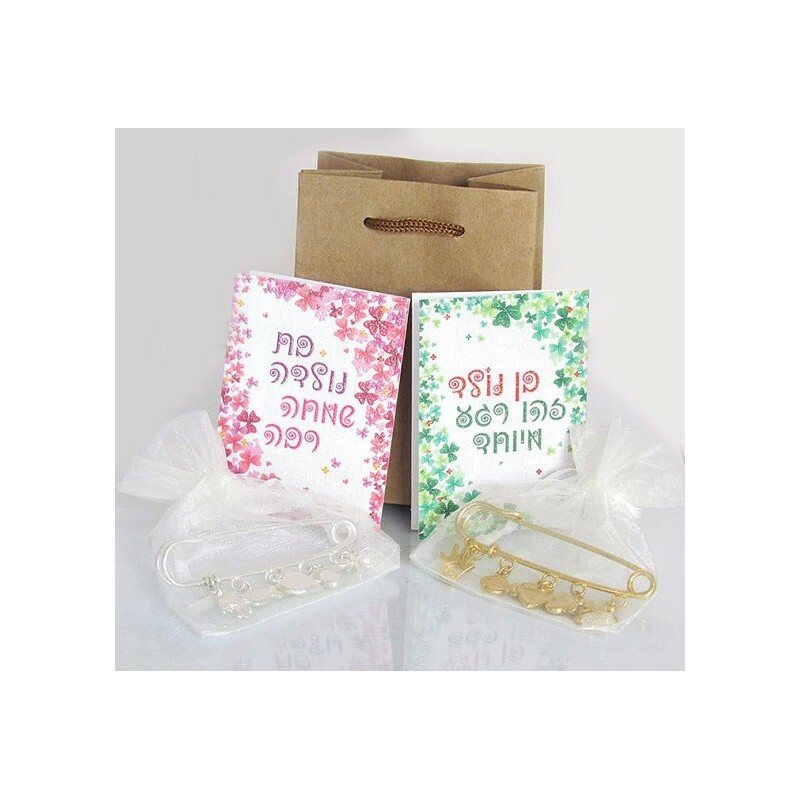 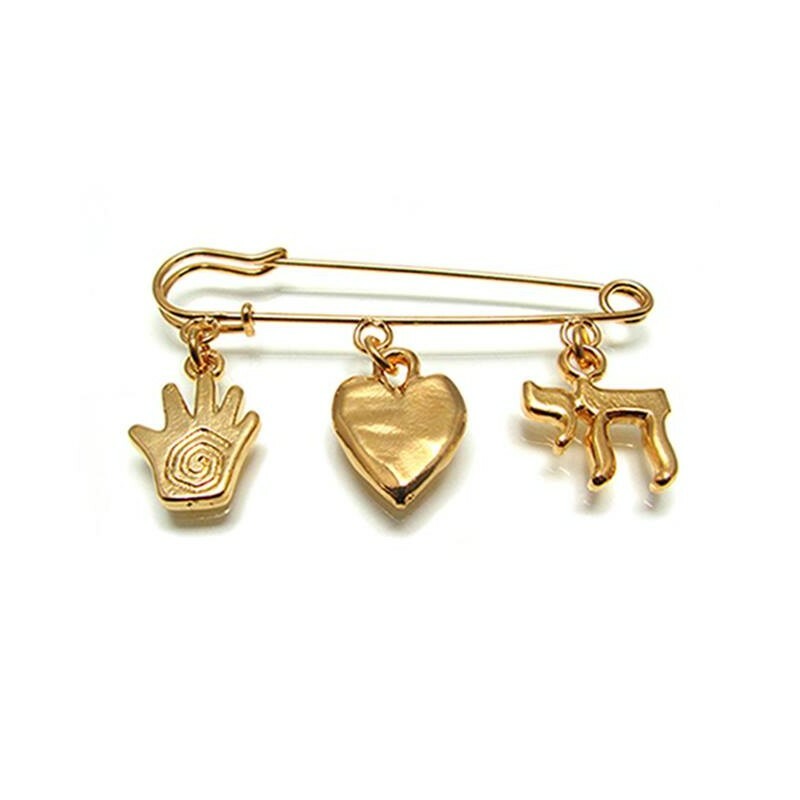 Gold or silver baby brooch pin with 3 delicate charm pendants. 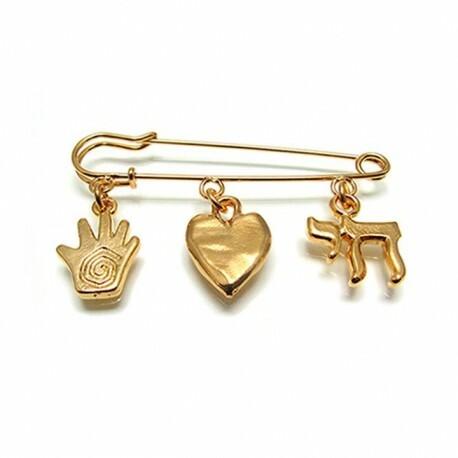 The baby brooch has 3 Hamsa charms: a lucky hamsa, a heart and a Chai.